Mary Claire King (Inga), Brian Padgett (The Monster), Brad Bradley (Igor), Sandy Rosenberg (Frau Blucher), and Tommy Labanaris (Dr. Frankenstein) in "Young Frankenstein" at Theatre By The Sea from August 19 thru September 6, 2015. Photo by Steven Richard Photography. 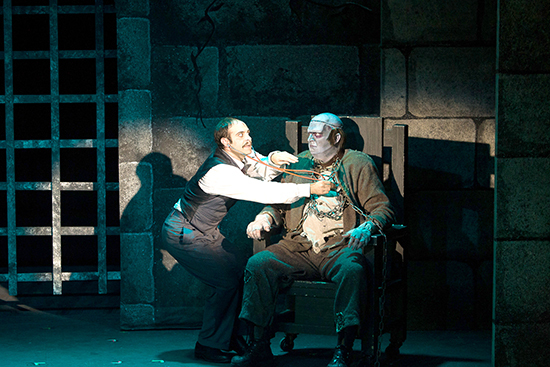 Tommy Labanaris (Dr. Frankenstein) and Brian Padgett (The Monster) in "Young Frankenstein" at Theatre By The Sea from August 19 thru September 6, 2015. Photo by Steven Richard Photography. 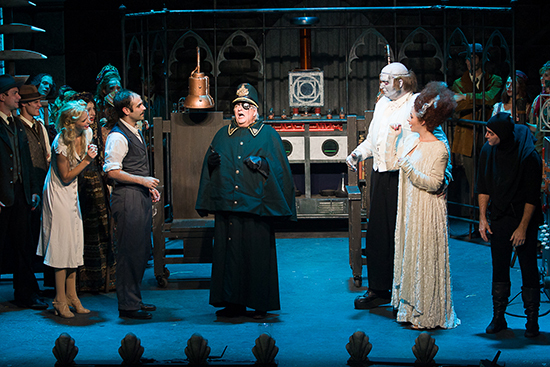 The company of "Young Frankenstein" at Theatre By The Sea from August 19 thru September 6, 2015. Photo by Steven Richard Photography. 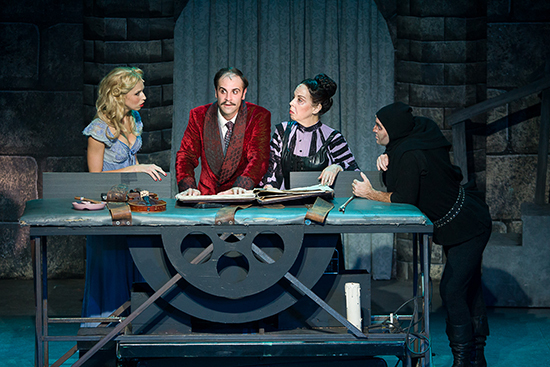 Brad Bradley (Igor) and the company of "Young Frankenstein" at Theatre By The Sea from August 19 thru September 6, 2015. Photo by Steven Richard Photography. Tommy Labanaris (Dr. Frankenstein) and Mary Claire King (Inga) in "Young Frankenstein" at Theatre By The Sea from August 19 thru September 6, 2015. Photo by Steven Richard Photography. Mary Claire King (Inga), Tommy Labanaris (Dr. Frankenstein), and Brittney Morello (Elizabeth) in "Young Frankenstein" at Theatre By The Sea from August 19 thru September 6, 2015. Photo by Steven Richard Photography. Brian Padgett (The Monster) and Brittney Morello (Elizabeth) in "Young Frankenstein" at Theatre By The Sea from August 19 thru September 6, 2015. Photo by Steven Richard Photography. Tom Gleadow (Inspector Kemp) and the company of "Young Frankenstein" at Theatre By The Sea from August 19 thru September 6, 2015. Photo by Steven Richard Photography. Mary Claire King (Inga), Tommy Labanaris (Dr. Frankenstein), Brad Bradley (Igor), and Sandy Rosenberg (Frau Blucher) in "Young Frankenstein" at Theatre By The Sea from August 19 thru September 6, 2015. Photo by Steven Richard Photography.